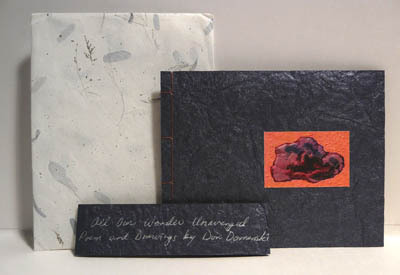 Don Domanski was born and raised on Cape Breton Island and now lives in Halifax, Nova Scotia. He has published seven books of poetry. Two of his books (Wolf-Ladder, Coach House 1991 and Stations of the Left Hand, Coach House 1994) were short-listed for the Governor General’s Award. In 1999 he won the Canadian Literary Award for Poetry. His most recent books are All Our Wonder Unavenged (Brick Books 2007) and Earthly Pages (Wilfrid Laurier University Press 2007). Published and reviewed internationally, his work has been translated into Czech, Portuguese, and Spanish.